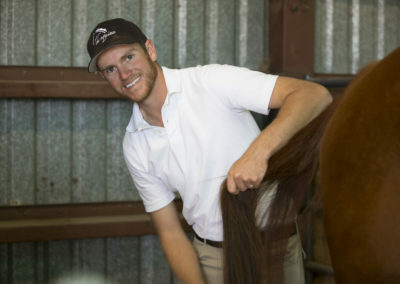 Cody Harrison’s knowledge and understanding of equine development, horse bio-mechanics and horse and rider movement allows him to work with horses of all ages. 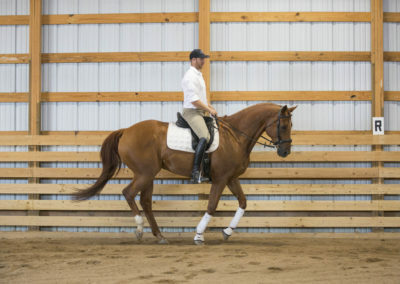 He is a talented riding instructor with a goal to teach riding skills that enhance the student’s equestrian experience and performance with their horse. 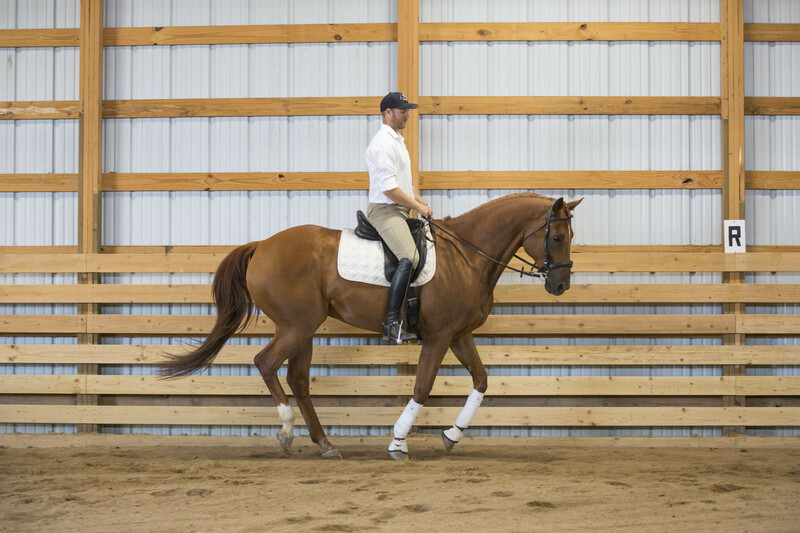 Cody Harrison excels at teaching his students basic riding skills as well as advanced skills including Dressage, Jumping, and Western disciplines. 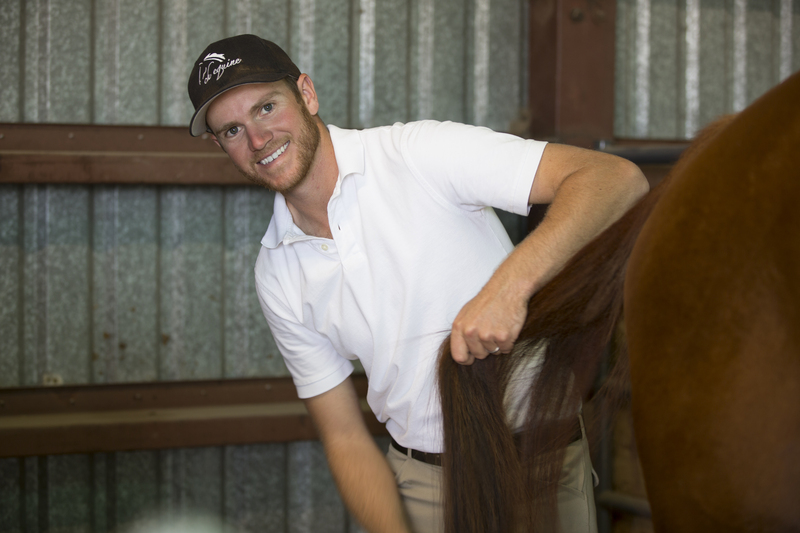 Cody Harrison believes that as a horse trainer and horse owner, we must always be trying to better the health, fitness and longevity of our horse’s life and career. We achieve this by reducing mental and physical stress for both horse and rider to a minimum. Relaxation allows for a more efficient and better learning environment. We must work with the anatomy of both horse and rider to keep them in balance and relaxed which allows for all effort to be used for positive movement rather than wasting energy from tension. It is equally important to know the horse’s limitations so we do not ask for more than the horse is capable. You must allow the horse time to understand what it is being asked of him yet at the same time know when to push. 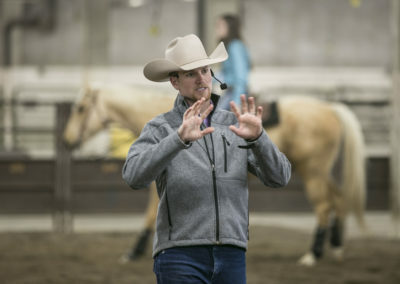 Cody focuses on lightness, mental and physical balance, basic horsemanship knowledge, and safety in lessons and works with client’s horses providing daily training reinforcing his methods of gentle, yet effective consistent horse training. Regardless of the discipline of the rider, it is absolutely necessary to have proper understanding and a good mindset. Cody travels across the country to speak at equine riding and training expos and is available for booking as a horse clinic speaker at horse expos or for equestrian clinician demonstrations. 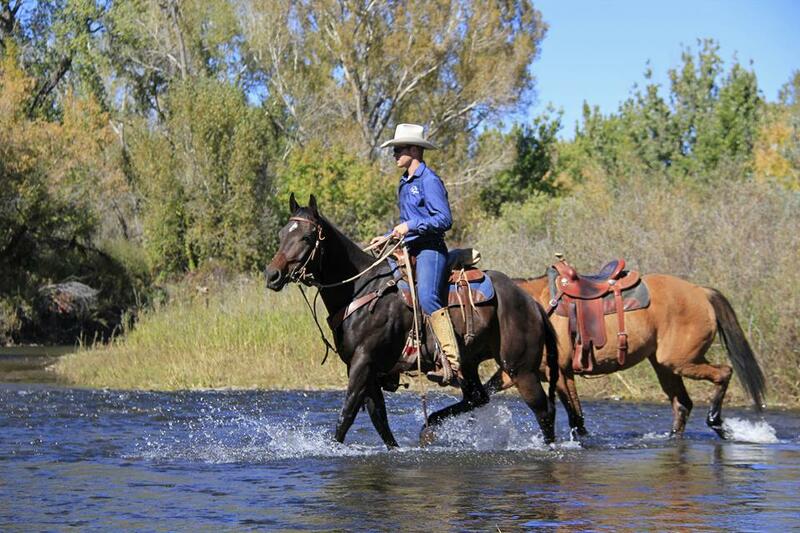 Cody is also available for private horsemanship clinics set up at your horse facility. If you have friends who all want to learn more with their horse, why not host a clinic at your horse facility? Cody has affordable rates for riding clinics and can travel to your equine facility, nationwide. From California, Arizona, Nevada, New Mexico, Texas, the Midwest and Florida and the east coast, Cody can come to you! Clinics consist of a group of students working with their own horses to improve their horsemanship knowledge and abilities. Clinics are customized to fit your riding group and your skill levels. 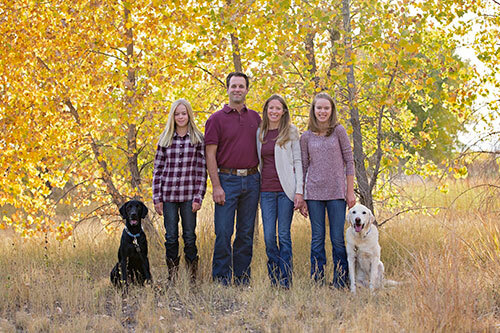 Cody also provides private and group riding lessons at his Brighton Colorado horse facility. Riding lessons are available to the Arvada, Boulder, Brighton, Louisville, Broomfield, Castle Rock, Colorado Springs, Denver, Henderson, Lafayette, Longmont, Loveland, Fort Collins, Fort Lupton, Parker, Thornton, and Westminster areas. Lessons consist of one on one instruction or in a small group. What you will learn depends on your and your horse’s skill level and exposure. For instance, a beginner student will learn how to groom, tack and ride at a basic level and as they advance with their abilities their instruction will be modified for such. 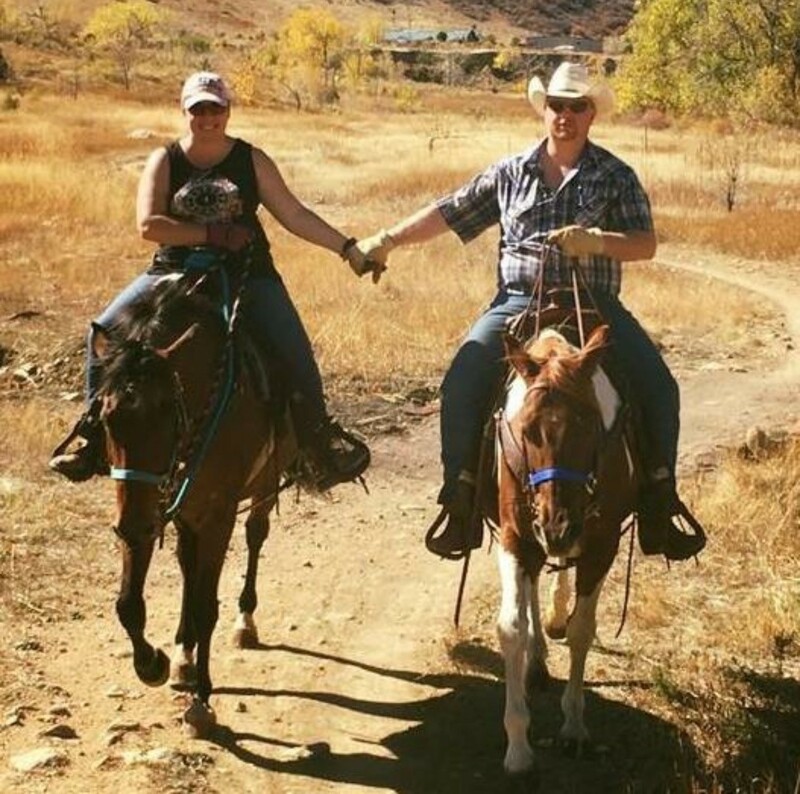 This facility is new and unique with trails for trail riding and an obstacle course to sharpen your riding skills and your horse’s exposure! Cody focuses on the individuality of the rider and horse. He works with each rider to find balance physically, mentally and emotionally. Once the person is balanced, they can then focus on shaping the horse. He customizes each work session to create an environment where the rider can be successful. Through experience he’s seen that when a rider works with a horse through balanced energy, they discover their own personal strength and remarkable things happen. “I had been an off and on rider for a long time and I thought that I would give riding one last chance to fit more permanently into my life. 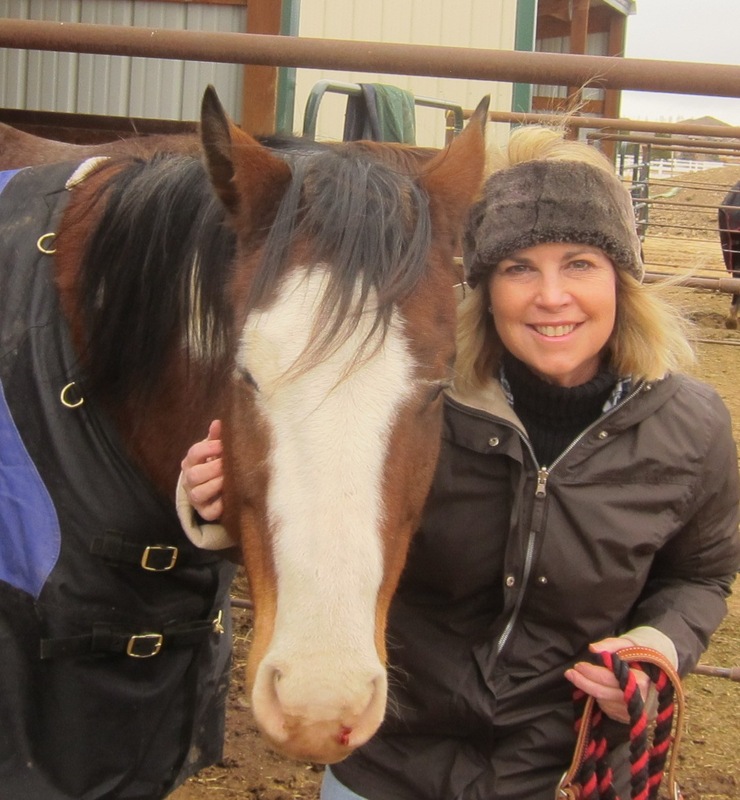 I started taking lessons from Cody about 3 years ago and – since that time – my passion for horses and riding has been totally renewed and I have a joy of riding that I had not experienced before. I can’t say enough about the positive and fulfilling horse and rider relationship that Cody helps his students find. Cody is an expert in both English and Western riding disciplines and shows a patience and understanding that is remarkable. Not only does Cody help with the important technical aspects of riding, including the physical movement and balance of both horse and rider, but I am convinced that he is able to read my mind as well as my horse’s! He’s helped me be much more sensitive to how my horse is reacting to me and continues to help me make adjustments to my balance and contact that make an immediate positive difference. Cody’s sensitivity and patience, combined with his expert riding and training capability, really put him in an elite tier of training professionals.